Dual Grade 1 winner Identity Thief suffered a fatal injury oh his seasonal reappearance at Navan on Sunday. 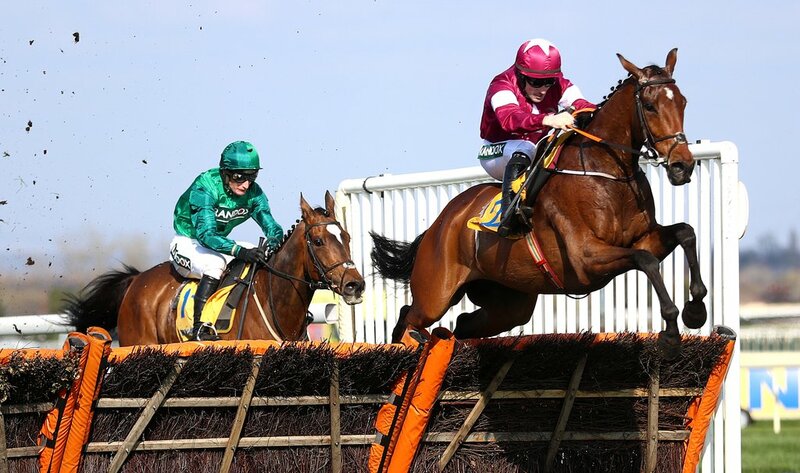 The Henry de Bromhead-trained 8yo, was sharply pulled up by Rachael Blackmore in between the final two flights in the Lismullen Hurdle, a race won by Apple's Jade. Winning seven times in his career, he was successful twice at Grade 1 level, including when winning the Ryanair Stayers Hurdle at Aintree earlier this year. He also won the Fighting Fifth Hurdle at Newcastle back in 2015, winning his connections at Gigginstown House Stud more than £300,000 in total career prize money. (Credit: Racing Post) His trainer said: "I'm gutted to lose him like that. He has been a fantastic horse for us over the years. "He was brilliant at Aintree but I suppose the day we will remember the most was when he won the Fighting Fifth as that was my first Grade 1 winner for Gigginstown. He will be sorely missed around here." Identity Thief made a winning debut at Fairyhouse back in November 2014, surging clear to win by three lengths at odds as big as 25-1. The following season he was a big player at the highest level, finishing runner-up in two Grade 1s in addition to landing the Fighting Fifth. He failed to show his best when switched to fences in 2017 – though he did win twice, including at Grade 2 level. However, he was back to his old self last season switching back to hurdles, particularly when winning by five lengths on Grand National day.